As my children count down the days until school is over for another year, I am starting to look ahead to the months of June, July and August. Typically, I feel a sense of panic, as I wonder what I am going to do to keep six children of varying ages occupied for three months. For the most part, my children are still young enough to be happy with afternoons running through the sprinkler and eating popsicles on the front porch. But the structure that swimming lessons and VBS provides is a good thing, too. This summer, in addition to our traditional summer plans, we will embark on a new summer activity. A weeklong, overnight camp. There are plenty of camps and summer programs available these days, but it was important to our family to find something that is not only fun but faith-based as well. 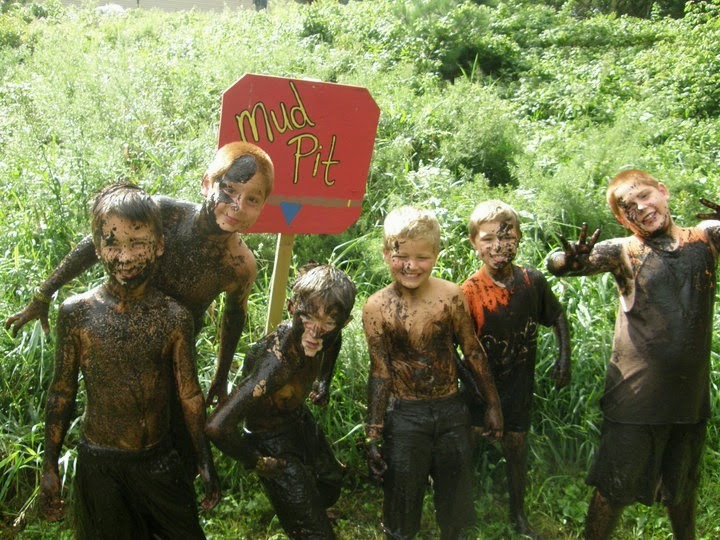 In Minnesota, we have a very unique summer camp that not only gives kids a fun week of outdoor activity, crafts and games. It provides all of that (and more) in a Catholic setting. It’s called Catholic Youth Camp, and we’re giving it a try this summer. As we embark on this new adventure, I thought it might be nice to share a bit about CYC here on the blog, just in case other families are looking for a quality Catholic camp for their children. Even those who do not live in Minnesota, perhaps a quick Google search will help you find something similar in your area. Here is a recent interview I conducted with CYC Camp Director Natalie King. 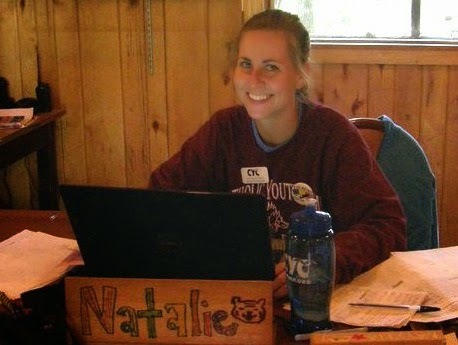 In addition to giving us a great sense for CYC, Natalie has graciously offered my readers a discount on camp, too! See below for details. Tell us a little bit about Catholic Youth Camp (CYC). CYC is Minnesota’s only Catholic resident camp. We are a traditional overnight camp in a faith-centered environment. Started in 1947, this will be our 68th summer. We are an independent camp (not part of a parish or diocese) and draw kids from all over the state and even outside of Minnesota. Campers range from seven to 14 years old, and we also have teen programming for 10th-12th graders. Describe the camp setting on Big Sandy Lake. CYC sits on 17 acres of land. We have 12 camper cabins that are rustic but perfect for kids looking for a traditional outdoor experience. Our main lodge is the biggest building in Aitkin county and houses our dining hall, main bathrooms and lots of common space. We have a beautiful sandy beach, a boating bay for canoes and kayaks, an archery/slingshot range, a great campfire circle, an arts and crafts barn, and a gorgeous chapel which was built in 1924. What does a typical camp week include? Camp runs from Sunday-Friday. On Sunday, kids meet the other 11 campers and two counselors in their cabin, take a tour of camp, select their activities for the week, go to chapel and end the evening with a campfire. 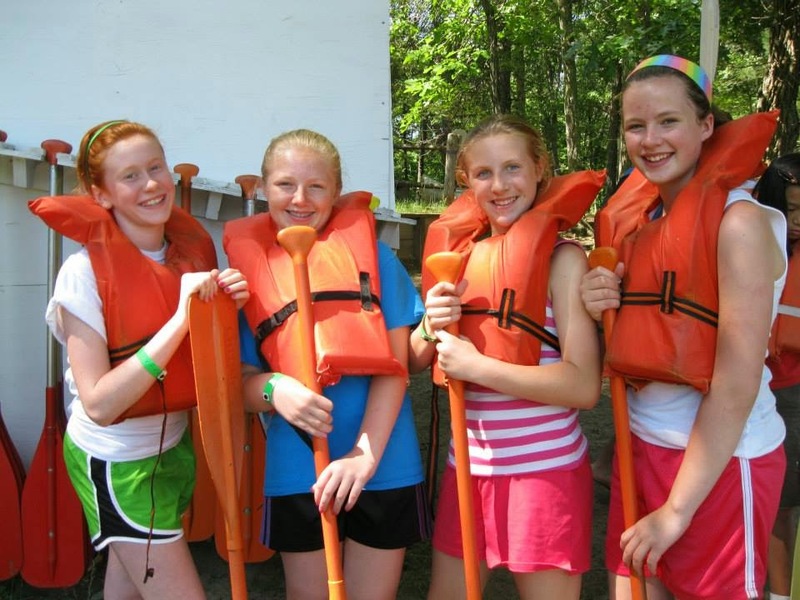 During the week, cabins do many activities together, and campers get to sign up for individual activities to specialize in (i.e., archery, art, canoeing, fishing, dance, drama, sports, swimming, cooking, choir and nature). They divide up with other boys and girls in the same age group to do each activity for one hour each day. We also have morning and evening chapel, meals, rest time and evening activities. We celebrate Mass once per week. The days are busy but so fun! A typical day is detailed on our Web site. What makes CYC camp unique from other overnight camps? At Catholic Youth Camp, campers experience God in everything they do. CYC has so many fun activities but what makes us really special is our close knit community. There are a lot of great camps out there, but CYC is a place where kids will belong. They will not just have fun, learn new activities and make friends, but they will have the opportunity to grow in faith and get excited about their faith in a different way than they might experience in church or at school. CYC is the place to be if you love having fun and are excited about (or even just curious about) your faith. What is your favorite part of being the CYC director? How long have you been in this position? I have been the director for eight years, and I love my job. My favorite part of camp is hearing feedback from kids and parents that CYC is a place where they feel like they belong. I love that we have a community that makes everyone feel welcome. I also love kayaking and of course eating s’mores! Tell us about the volunteers and camp counselors that you recruit for camp. Our staff members are 19 years old and older, and they love kids, the outdoors and their faith. Our staff is cool and fun. They love movies and music and sports, but they also are passionate about being Catholic. Often when we look at famous athletes, movie stars and musicians, it can be tough to find positive role models for kids. At CYC, our staff members are young, fun, cool, and they are positive role models. CYC staff members help kids see that being excited about their faith isn’t just for adults, faith can be part of their lives, too. Is there anything else you would like to share with families who might be considering CYC this summer? CYC is a small (averaging 70-100 campers per week) community that helps every camper succeed. You don’t have to be Catholic; everyone is welcome. CYC is not a Bible camp, in that kids won’t necessarily learn about the Bible or teachings of the Church. But kids will come home excited about prayer, curious about learning more about their faith and feeling positive about being Catholic. Also, they will have a ton of fun in all of the activities. They can sign up with a buddy and be in a cabin together, or they can come on their own and meet new friends. How can someone register for CYC? Visit our Web site for more information. We also are on Facebook, Instagram and Youtube. Feel free to call me at 651-636-1645, with any questions. If you decide to register, we are offering More Than Enough readers a $25 discount. When you register, create an account and sign up. When you check out, use the code MTE15 (the initials of the blog), you will receive the $25 discount. Photos courtesy of Catholic Youth Camp.